In Charles Marohn’s 2012 book, Thoughts on Building Strong Towns, we find a five-part essay about how suburban growth is an unsustainable Ponzi Scheme. New suburban development initially costs little for local government, infrastructure like roads is built by the developer then handed over to local government for free, and tax revenue starts flowing in quickly. Looks like a great deal. But what is not well understood is that the long term maintenance and repair cost is huge. And the tax revenue from the low-density development comes nowhere near paying for the ongoing costs for those roads and sewers. The “solution” has been to try to endlessly promote even MORE suburban growth. The revenue from the new growth is used to pay for the old growth. But endless new suburban growth is impossible. Particularly in Boulder and Boulder County. The result of having new growth pay for old growth is a classic Ponzi Scheme. Could the road funding controversy in Boulder County be at least partly explained by Marohn’s Growth Ponzi Scheme? Compact, slower speed, human-scaled urban development creates wealth. Lower density, higher speed, car-scaled suburban development destroys wealth. How can suburban development pay for itself? We can start, implies Marohn, by nearly doubling property (and other) taxes in new suburban neighborhoods. Since this is not politically feasible, the future will be, shall we say, challenging. In an urban to rural transect, suburbs are drivable (and private spaces are emphasized) and town centers are walkable (and public outdoor spaces are important). Our future needs to be one where those who drive from their suburban privatopia into the sociable town centers are seen as introducing toxins such as second-hand smoke into the walkable town centers. The higher speeds and larger asphalt spaces degrade the quality of life in the town center portion of the transect. Should the Development Transect Include a Suburban Option? The “Urban to Rural Transect” is an idea pioneered by the new urbanist movement. The concept acknowledges that individuals have a range of different lifestyles and forms of travel that they desire. 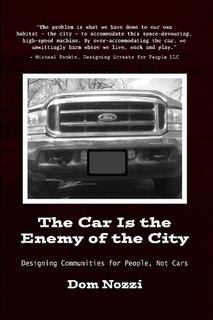 Instead of having a community establish only one set of design regulations for new development in a community (a set which tends to offer only a suburban, drivable lifestyle), it is most equitable that regulations should be tailored to the full range of choices: walkable for the town center, suburban and drivable for the suburbs, and rural/conservation for the periphery of a community. Not only is this tailored approach much more fair and equitable than the typical one-size-fits-all approach, it is also more resilient: The future is likely to be rather different than today, particularly due to likely resource, financial, demographic, energy and climate changes. It is obviously most prudent to have a full set of community designs so that a significant community shift to a new way of living and getting around will not be as painful and costly. Given the clear fairness and prudence of the approach, I am always surprised when I hear people express reservations about the transect. Many advocates of a “greener,” more “walkable” and “compact” lifestyle will claim that we should simply PROHIBIT the drivable suburban portion of the transect, since that form of design is inherently anti-socical, anti-environmental, and unsustainable. Several who subscribe to this position argue that we will not be able to survive as a civilization if we retain the suburban designs of our community for the long term, given the likelihood of “peak oil,” climate change, or various forms of resource constraints in our future. I believe there is some validity to this point. However, for several decades, nearly every American community has established development regulations that seek to establish the drivable suburban lifestyle EVERYWHERE in the community (an anti-choice, one-size-fits-all approach). For the first time since before WWII, thankfully, we are now seeing a large number of people and organizations saying NO!!!! to this one-size-fits-all approach. That approach is ruinous, they rightly say, and eliminating lifestyle choices! The transect – which is a concept which wisely includes a suburban zone — is the only system I know of that can start to move us out of that downwardly spiraling rut of one-size-fits-all suburbia. Given that communities have mostly applied only suburban development rules throughout the community for so long, it seems highly unlikely that we can abruptly eliminate the community-wide suburban approach in our lifetimes. It is strategically unwise to suddenly replace drivable regulations with walkable regulations community-wide. The vast majority of people are extremely supportive of a suburban lifestyle, as can be seen by the fact that this interest group has succeeded in inappropriately forcing suburban design down the throats of urban and rural areas, as well as suburban areas throughout the nation. Given the common (albeit wrong) assumption that suburbia is a consensus desire, abruptly eliminating that lifestyle option community-wide is akin to vegetarians suggesting we should abruptly end the sale of any meat in a grocery store. Clearly, it is appropriate that communities need to stop assuming that everyone prefers the suburban lifestyle. To stop applying suburban regulations everywhere in the community. But going from suburban regulations EVERYWHERE to suburban regulations NOWHERE is not politically feasible. Or fair. If some people desire the relatively anti-social, inconvenient aspects of a suburban lifestyle, and are able to afford the expensive nature of such a lifestyle without harming others seeking another lifestyle, we are right to continue to allow it. We need to fight community battles that have a chance of success, instead of squandering our efforts on something that will only happen via a pie-in-the-sky “green” dictatorship. Striving to prohibit suburbia might also distract us and slow down our important, pressing need to politically gain acceptance of some of the crucial transect concepts. We must IMMEDIATELY start applying compact and walkable development regulations in our town centers. We must IMMEDIATELY start applying rural/preserve development regulations in our outlying areas. And we are able to politically buy such changes by allowing suburban development regulations to remain – at least for the time being. Sure, while we do that, we can continue to believe that we will probably need to bulldoze suburbia in the future, or see it be abandoned on its own because corrected price signals make such a life undesirable for most. But in this interim period, politics and the on-going lifestyle desire for many requires that we retain the suburban option. Similarly, when it comes to transportation, it is clear that we must eventually put some suburban roads on a diet – taking, say roads that are five lanes and dieting them down to three lanes. But rather than calling for suburban road diets NOW, I believe it is politically wise and fair at this time to do no more than put a moratorium on widening those roads (i.e., let’s not let them get worse than they already are). In the meantime, we can let residents of those suburban places voluntarily ask for road diets (and traffic calming) if they so choose (after seeing the obvious benefits of diets in other parts of the community). 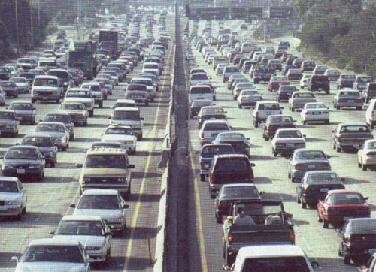 Of course, this “moratorium” approach can also happen on its own, as we are increasingly unable to afford to widen roads. In the meantime, we DO put in-town, walkable areas on the right path. In those places, we happily put roads on a diet and employ lots of traffic calming and sidewalk installation and walkable development requirements. And we do so with less political opposition because we have retained the suburban option. Such an approach allows us to minimize antagonism. Suburban advocates can have their suburban utopia as long as they give us what we desire outside of those fiasco locations. Locations that will increasingly be seen – even by today’s suburban advocates – as a failed paradigm compared to the increasing value, profitability and desirable nature of the walkable locations of the community. We will more quickly see walkable locations become shining and enviable preferences to suburbia if we follow the savvy approach of allowing suburbia in the interim period. By allowing suburban advocates to opt for suburbia, we give ourselves the ability to employ the politically unhindered road diets and strong walkability development regulations in the walkable locations of the community. A transect that includes a suburban option, in sum, is the preferred approach.